It was only a matter of time before Josh Gordon had his breakout game for the New England Patriots, and it came in Week 7. After hauling in an incredible 23-yard catch on fourth down earlier in the game, Gordon torched Chicago’s secondary to break wide open in coverage late in the fourth quarter. Brady immediately found him, then Gordon slipped out of two tackles and took off for the 55-yard reception. 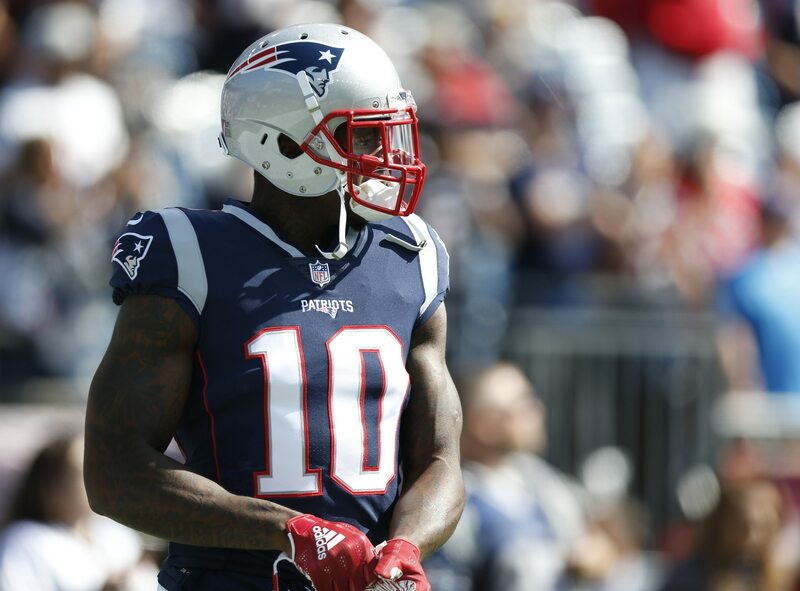 Josh Gordon is a different type of talent at WR in New England. Gets open, breaks two tackles, runs away from defenders and nearly scores. Gordon’s big catch-and-run in the fourth quarter put him right at 100 yards on the game. The 27-year-old showed clear signs of becoming a go-to target for Brady in Week 6 and now the duo has its first 100-yard performance together. New England only sacrificed a fifth-round pick to land Gordon. He seems to be fitting in quite nicely on a team that makes the most of his talent. The Patriots simply stole Gordon from the rest of the NFL and he makes their offense so much more explosive.